In my work, I aspire to capture that “something else” about a place, and to recreate the feeling of “being there.” Atmosphere, emotion and the transmission of light fascinate me. It goes beyond mere rendering into seeing beyond the outline into a scene’s essence. It is not enough to merely paint the literal view. One needs to bring out the spirit that lies within. It is this emotionality that I am after. When I was a professional photographer, my job was to tell the story about a place with imagery. The job was to “get the shot,” one image that would stand alone and tell the story. This legacy is carried into my current work. The painting must connect you to the place in the way words cannot. If I can make you experience this emotionality, then I have succeeded. Julie Houck, is developing a reputation as an artist to watch. 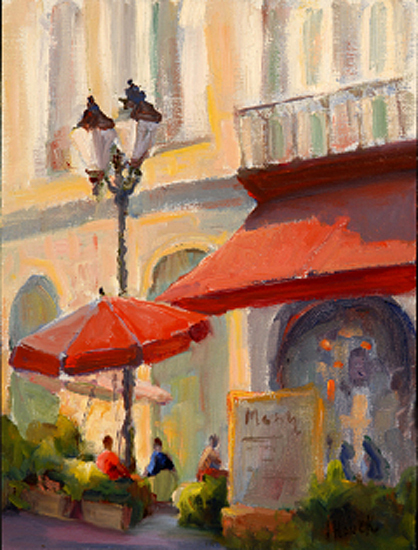 Houck has been recently acknowledged for her significant work by the Florence Biennale, the Nomadas del Arte and has been honored as a Signature member of the of Plein Air Painters of Hawaii and International Plein Air Painters. Her works are increasingly being displayed at important galleries in Hawaii and on the US Mainland, and she has been published in International Artist, Southwest Art, HI Luxury and American Art Collector magazines. 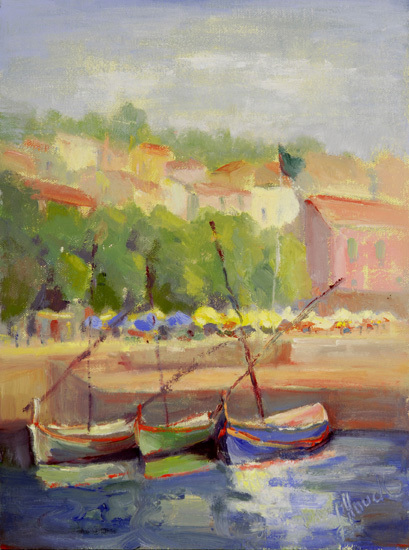 Houck’s art career began in Boston, where she was a professional photographer for 17 years. “I enjoyed photographing on location—especially people.” Her talent for location photography kept her on the road for much for the year photographing in Europe, Asia and across the US. Houck studied with contemporary realist painters who based their instruction on the classical principles of directly observing color, light and form relationships in nature. She studied at the Atelier of Classical Realism in San Francisco with David Hardy, the Academy of Fine Art in Seattle with Anthony Ryder and most recently, in France, at the L’Ecole Albert Defois with Ted Seth Jacobs. 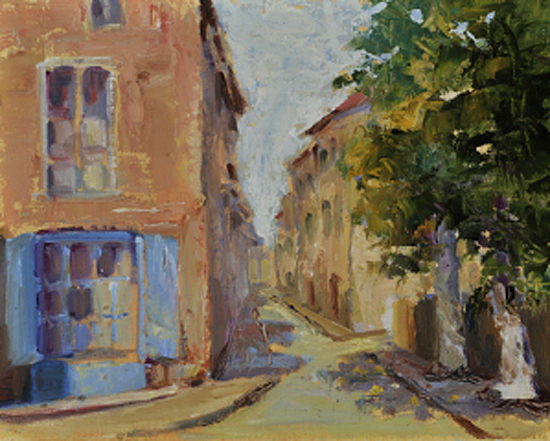 Houck studied en plein air with Kevin MacPherson, Don Demers and Kim English. She is currently working on her MFA in painting at the Academy of Art University in San Francisco. Coupling her photographic skills with her painter’s eye, Houck’s most recent series is a series of contemporary landscapes. These images capture light with vibrant color and dynamic brushwork. An award winner at the National Paint America Competition, Houck has also been a recipient of the David Warren Memorial Scholarship Grant, a Hawaii State Foundation on Culture and the Arts Acquisition Award as well as exhibition prizes for painting. 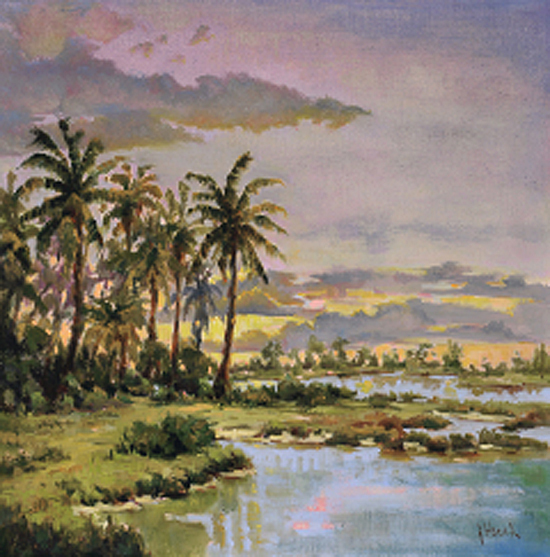 Houck’s work is part of the permanent collections of the Hawaii State Foundation on Culture and the Arts and the Hawaii State Art Museum. 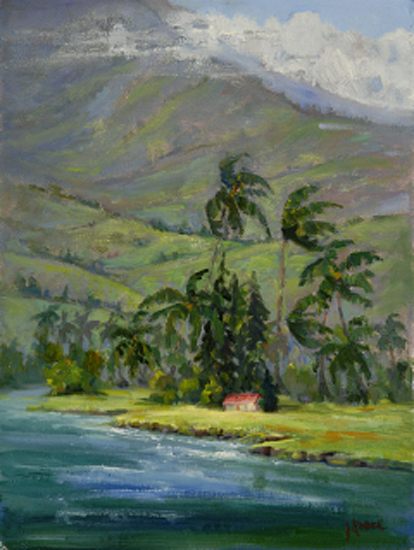 She was one of the featured artists at the commemorative “Artists of Hawaii” exhibit at the Honolulu Academy of Art in 2000 and has been juried into Art Maui ten times. 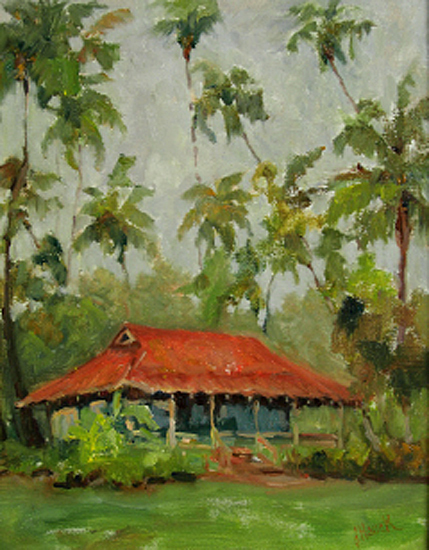 A popular and well-respected instructor, Houck also teaches plein air painting on Maui, the mainland and in Europe.